← WINX: SIMPLY THE BEST. HOW MANY RACING CLUBS CAN SAY THAT? 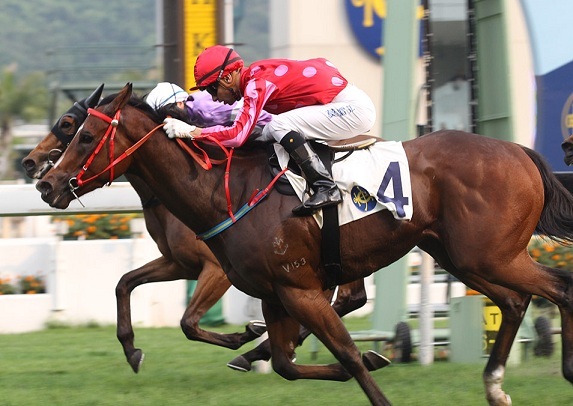 On Sunday at Shatin, racing fans saw another Magic Man in action. 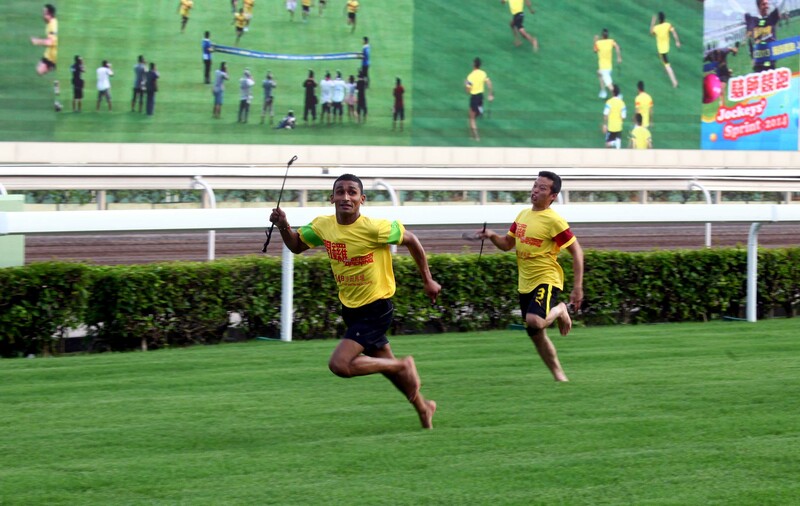 Sure, by now, we’re all used to the magnificent feats of derring-do from the mercurial Brazilian Joao Moreira. All that’s left for him to do is part the Red Seas- and which he’s probably done in another lifetime. 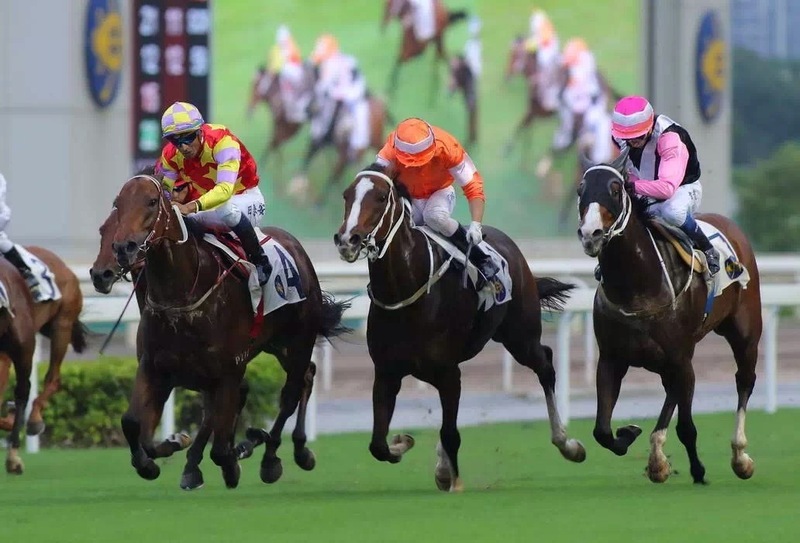 But on Sunday, Karis Teetan pulled something very special out of his own bag of tricks with a magical ride on the John Moore-trained Designs On Rome in the Group 2 Oriental Watch Shatin Trophy. At odds of 20 to 1, this often underrated galloper was, in many ways, the forgotten horse in the race. But ignore Designs On Rome at your peril. And Karis Teetan. 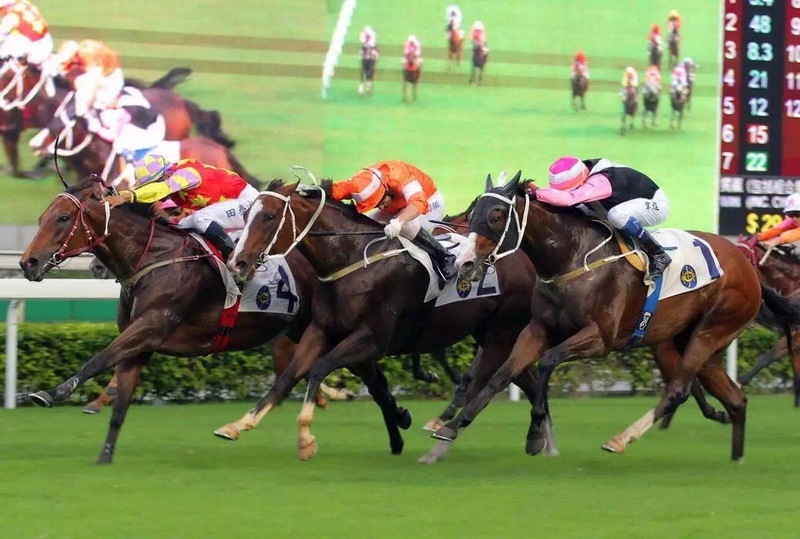 Put them together, mix, stir and you get what happened at Shatin. Forget about Pakistan Star “going viral”. 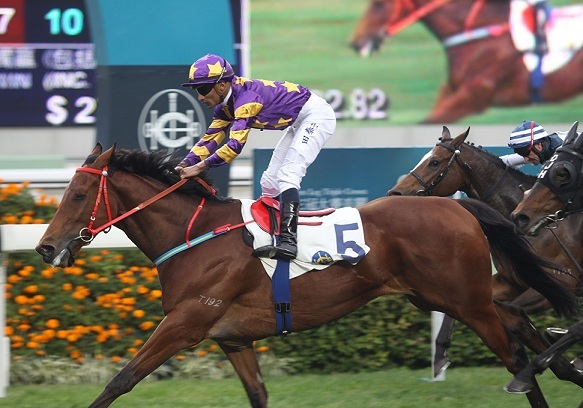 The Mauritian Magician’s ride- and he’s ridden this former Hong Kong Horse Of The Year at each of his first runs for the past four seasons- is something that will be talked about for a very long time- and a ride that will be watched many times over. It was an inspired ride- another inspired ride from a jockey who’s notching up quite a formidable showreel. With all eyes on Joyful Trinity, another Moore-trained runner and the odds-on favourite to take out the race, and many astute racing pundits giving the nudge nudge wink wink in the direction of the two John Size runners- Sun Jewellery and Contentment- and late money coming in for the three Tony Cruz runners in the race- Designs On Rome was allowed to drift- in the betting and in the running. 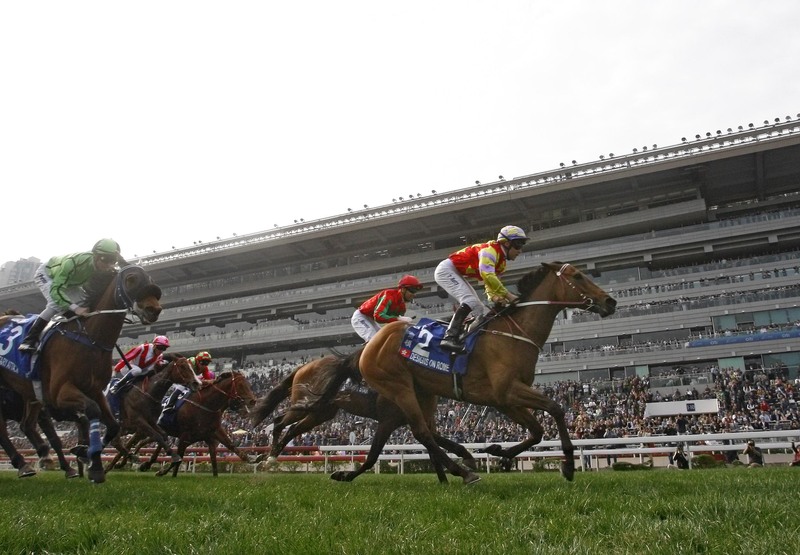 In fact, Designs On Rome was last in the field for the first 800 metres with many thinking the 1600 metres he was tackling was too short and just a hit out before next month’s Jockey Club Cup, and then, perhaps, his now annual appearance in December at the Longines Hong Kong International Races with Tommy Berry legged aboard. December can wait. On Sunday, horse and rider had other things on their minds. With a dawdling pace up front, “Super Sub” Teetan suddenly caught everyone else napping, being frightfully polite and genteel. Let’s just say, he cut through the crap, and decided to take off, circle the field and just go for home like the proverbial clappers. By the time the others woke up to what was going on, the bird had flown and all that could be heard were the sounds of “cuckoo cuckoo cuckoo”. 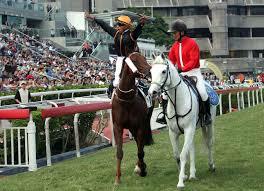 It’s been said about Hong Kong racing often enough: People have short memories. Just ask world class riders like Brett Prebble and Douglas Whyte. You’re only as good as your last win. And if wins don’t come thick and fast, stable support goes, you’re forgotten along with yesterday’s news, and it’s very much back to the drawing board and starting again. Last season was not too kind on Karis Teetan. 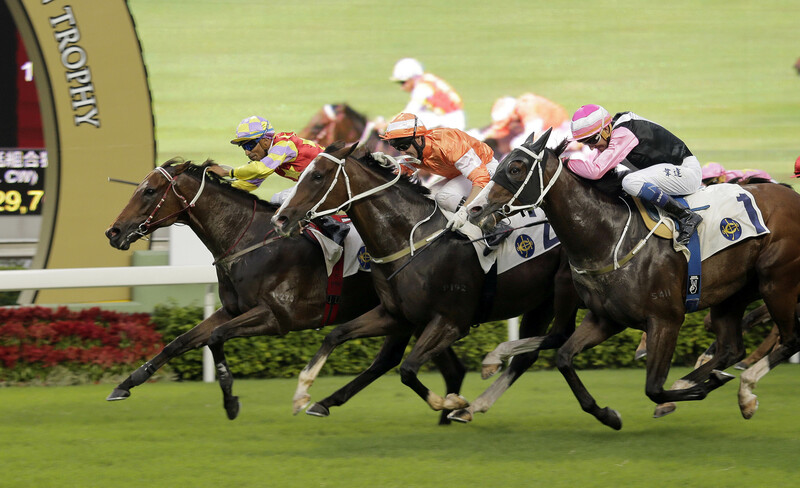 It wasn’t the same annus horribilis that it was for Dougie Whyte, but it wasn’t what it could have been- not when compared to him crashing into Hong Kong racing the season earlier in spectacular fashion. 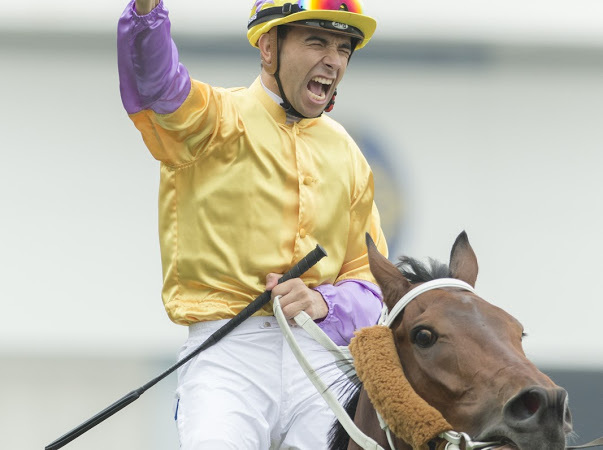 An injury, a few suspensions and the dominance of that other lightweight jockey named Joao Moreira kept things on the down low. But that’s part and parcel of Hong Kong racing and it’s no doubt made Teetan more determined and competitive than ever. The guy just loves to win. Anywhere. 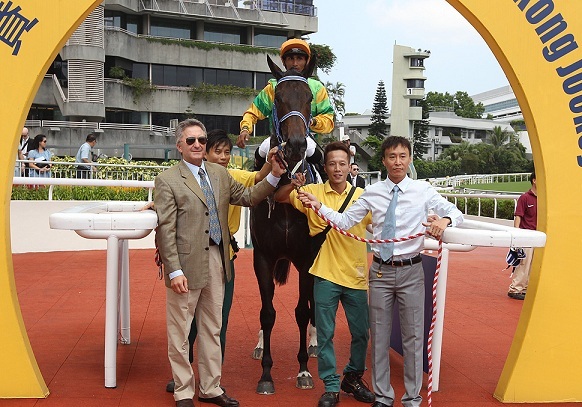 Karis Teetan arrived in Hong Kong, an unknown, but created a bit of history by winning the first race of the 2013-14 season on his first ride- Amazing Always for trainer David Ferraris, someone, let’s face it, not exactly known for having a stable full of horsepower of John Size and John Moore proportions. But for around half an hour that season, trainer and jockey- Teetan had ridden successfully for David’s father, the legendary Johannesburg-based trainer Ormond Ferraris- were heading their various premierships. 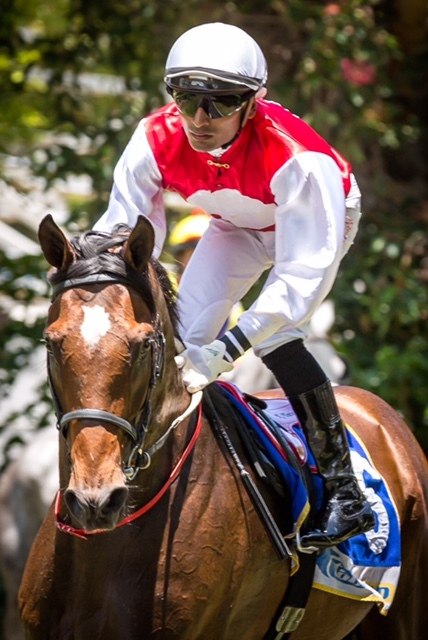 “Karis is a very respectful and hard working kid”, says Ferraris, who has done the best he can to support Teetan and other graduates from the South African Jockey Academy, the hugely respected school that has not only produced champions and great riders like Felix Coetzee and Douglas Whyte, but also instilled into them a sense of discipline and, as Lady Soul would sing, R-E-S-P-E-C-T. Speak to Whyte or Coetzee, and no matter how close you might be to them as friends, there’s a respect that’s old school- and refreshingly so. It’s always, “Thank you, mate. Really appreciate it”. Even their tweets are polite and respectful. And so it is with Karis Teetan. Like Joao Moreira, Teetan’s background story is similar and well-documented: Moreira conquered and fought to get out of the mean streets of São Paulo where he was known as “Ghost” to be the global Magic Man, and one of the most gifted riders to ever sit on a horse. As for Karis Teetan, he was also born on the poor side of town- but in racing-mad Mauritius. The eldest of three sons, the diminutive youngster had, like Moreira, a natural affinity with horses. He learned about balance and horses by riding bare back. He had to. Again, like Moreira, he didn’t have a choice: Saddles were expensive and his family didn’t have the money to buy him one. He also preferred playing truant from school in order to ride horses. After trying to fit into the pukka pony clubs for the privileged children of Westerners, where his natural urge to ride his horses faster was not appreciated, he enrolled in the Mauritius Jockey Club. It was there that came a chance opportunity for Karis Teetan to enter the South African Jockey Academy- but which came and went when he wasn’t one of the three youngsters chosen. He was too young and needed to finish school. Plus, there were tutorial fees to pay. But opportunity knocks on doors more than once. 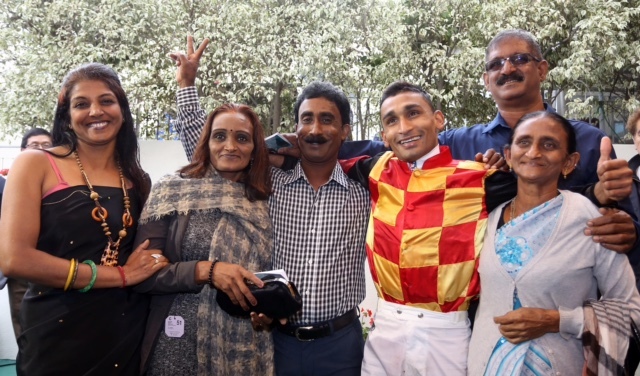 And when one of the three could not make it, with the help of the Mauritius Racing Club and his father working overtime to make sure he could afford to send his son to South Africa, the doors opened. The journey had begun for the 13-year-old Karis Teetan. 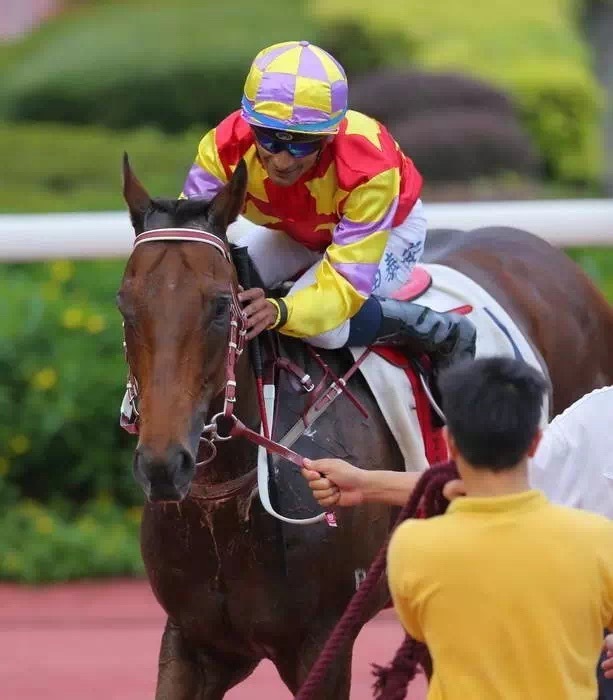 Knowing that South African jockey Richard Fourie was returning to South Africa from Hong Kong, Teetan, a naturally lightweight jockey, sent in his cv in to the HKJC. 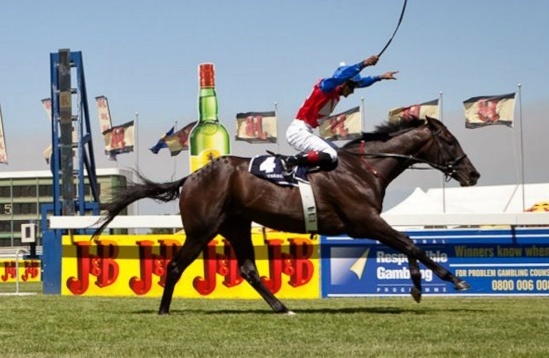 Not even that memorable photograph of the jockey standing high in his irons caught up in the moment of winning the Investec Cape Derby on Jackson way before the winning post was enough to deter the Licensing Board from granting him a license for the new season. What’s wrong with some youthful exuberance, anyway? In Hong Kong, what was soon obvious to all was that, apart from being a hard worker, Karis Teetan was eager to learn- and he had talent. And during those pre-Moreira days, when a great horseman like John Size sees this, he supports it. This then becomes a huge endorsement which attracts interest from other stables. A domino effect is created. For Karis Teetan, the association with Size, which started when asked to do some track work on one galloper, has led to him almost being the understudy to Joao Moreira- and that’s no bad thing- though, let’s never forget his ongoing partnership with John Size gallopers like Mr Stunning and his wins aboard Eastern Express- and those three wins for John Moore aboard Able Friend. He’s been “super sub” many times, but the time has arrived for the Mauritian Magician to play with the A Team on a full-time basis. He’s certainly paid his dues many times over by winning on Able Friend three times, a great association with Blizzard which will hopefully be resurrected and a brilliant front-running ride aboard Bubble Chic in the 2014 Queen Mother Memorial Cup. 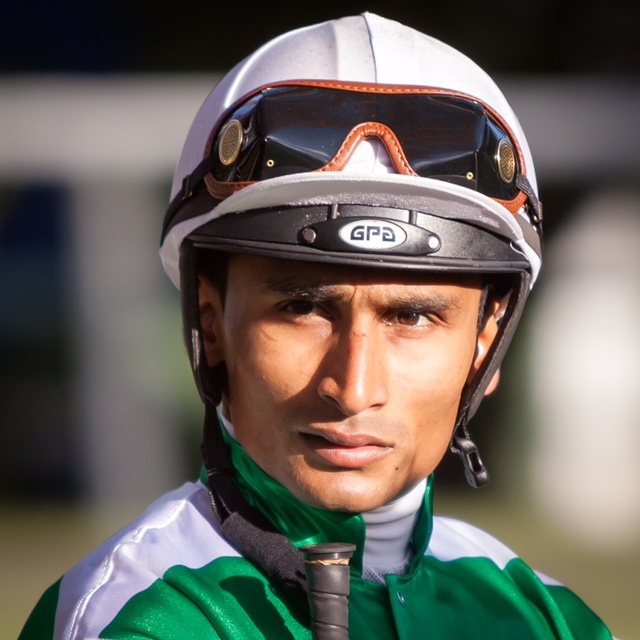 Here’s the deal with Karis Teetan: He’s appreciative of everything that’s comes his way and has been a great ambassador for Hong Kong racing when back in South Africa by being unabashedly appreciative to the HKJC for not only giving him a great springboard to his career, but all they have done to make a young Mauritian jockey not feel like a stranger in a strange land. Appreciative. It’s that word again. And even when knowing he’s pinch-hitting for some other jockey, he’s appreciative to be given the ride- and he rides to win. Karis Teetan is positive, he’s enthusiastic, he’s popular, and he’s talented. He’s not a know-it-all, and he’s not a fake. It’s there for all to see- in his open smile, the way he celebrates his wins, his undeniable family values, where he’s never forgotten what it took for him to travel this far, and how everything else is a bonus. As a fan and hobbyist of the sport, here’s hoping that this bonus is paid off soon. 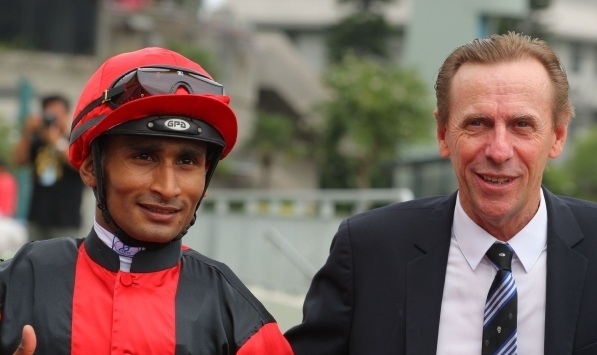 With Hong Kong as his base, and as he recently showed by winning the inaugural Korea Sprint in Seoul aboard the Tony Millard-trained Super Jockey, the racing world needs to see, first hand, just why Karis Teetan is the Mauritian Magician. And with fabulous cheekbones. But that’s another story for another day. This entry was posted in brett prebble, DOUGLAS WHYTE, Hong Kong Jockey Club, Hong Kong Racing, Horse Racing, JOHN MOORE, JOHN SIZE, The horse racing industry, Tommy Berry and tagged Brett Prebble, Contentment, David Ferraris, Designs On Rome, Douglas Whyte, Joao Moreira, John Size, Karis Teetan, Longines Hong Kong International Races, Oriental Watch Shatin Trophy, Shatin, Shatin racecourse, Sun Jewellery, TOMMY BERRY. Bookmark the permalink.